You don’t need me to tell you how important it is to have a cooler you can take with you on the road. But you may need me to tell you about this innovative new line of portable backpack coolers from Chill.Systems. They promise to be both more stylish and far easier to use than anything else on the market. After all, with freezing gel built inside the walls, you completely eliminate the need for ice. You can check out the products here. Here is a little more info for you. The Chill.Systems tech comes in two parts. First, there is The Chiller, an icy chamber designed specifically for beverages. Then you have the Chiller’s Pack and Chiller’s Tote, insulated coolers in their own right that enhance The Chiller’s power. 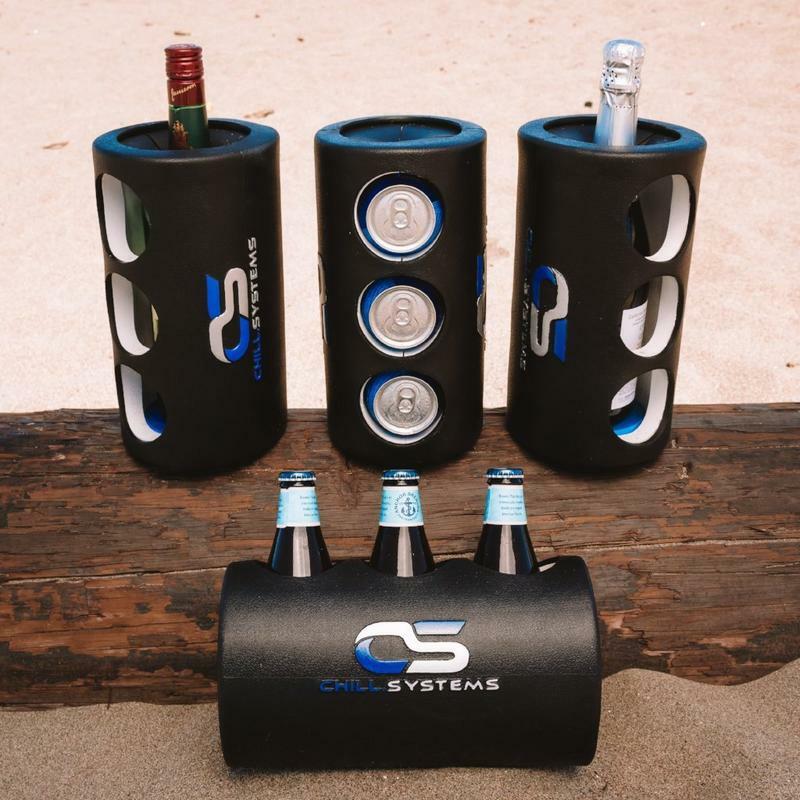 With The Chiller, you can leave the bulky cooler and ice behind! Simply freeze it overnight and grab it, load it, and go when you’re ready to hit the road. The Chiller’s unique design cools several 12oz bottles or cans or a 750ml wine or spirits bottle at a time. Drinks take about 30 minutes to cool inside The Chiller, so you can cycle warm drinks in as you consume the cold ones, enabling you to cool a full 12 pack or several bottles of wine through The Chiller in one outing. The Chiller’s cooling power and freeze duration are enhanced by its’ insulated companion bags, which provide extra space for you to bring along additional beverages and more. 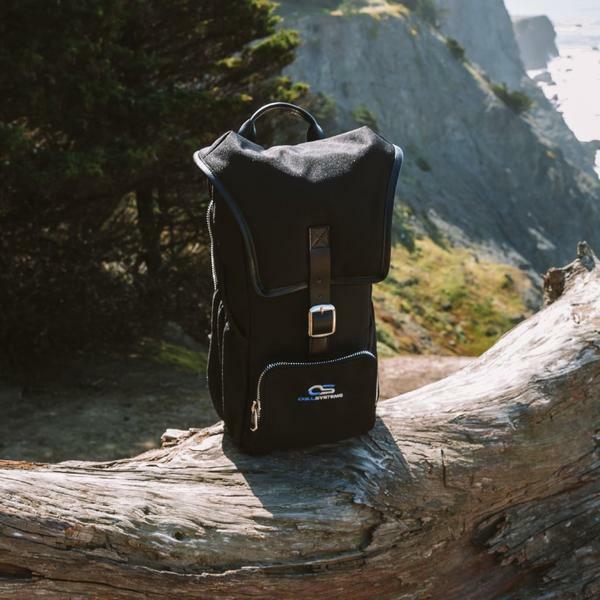 The Chiller’s Pack is designed to be the most portable carrier for The Chiller – perfect for a day hike, fair, or festival. It stores a 6-pack of 12oz cans in addition to The Chiller, with storage pockets for small items and a discreet pocket for your phone or other valuables. The Pack is lightweight and also doubles as a hydration pack – similar to a Camelbak, but much more sleek! The Chiller’s Tote is a stylish shoulder carry that allows you to pack even more drinks and snacks for your outing. It’s the perfect bag for a nice day at the park or beach – with enough space to supply ice cold drinks for all your friends! 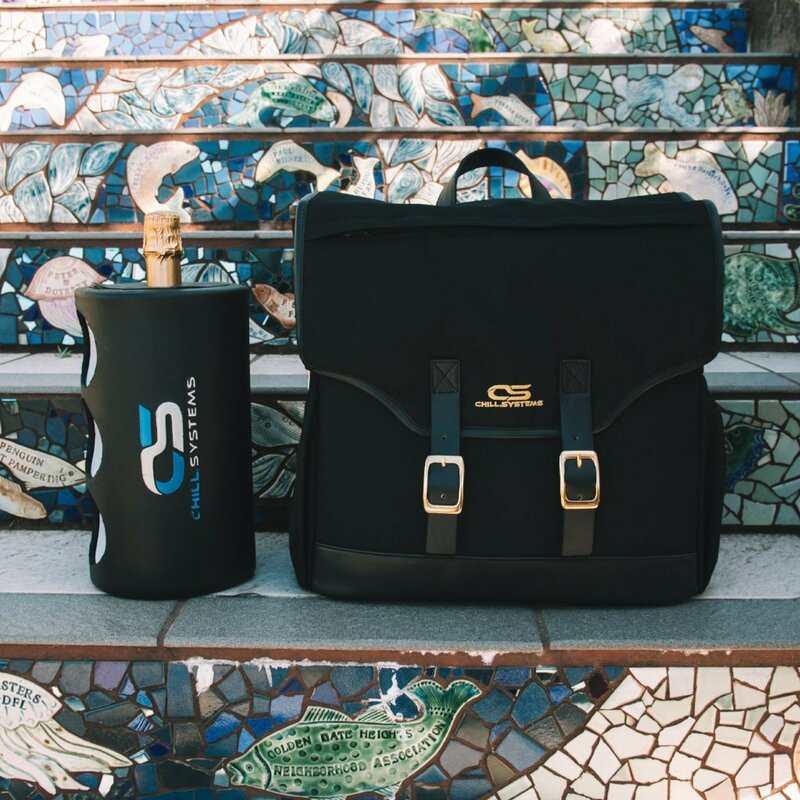 The Tote can fit a Chiller plus 12 cans or bottles, or 3 wine / spirits bottles and 2 wine glasses (in specially designed safe-carry wine glass compartments!). It also features several storage compartments, a tablet sleeve, and elastic bands on the bottom for carrying a picnic blanket, sweatshirt, etc. We know our readers are looking for alternatives to YETIs these days, and who wants to spend $200+ on a cooler anyway? Act now, and you can get The Chiller plus a Chiller’s Pack or Tote is available for just $108 now on Kickstarter! These are the lowest prices ever – so get them while they’re hot!